It’s the movie that has us excited for summer, and thankful for escapism! We’re living in turbulent political times where almost every topic is divisive nowadays, so finding a film like the Brett Haley-directed ‘Hearts Beat Loud’ is exactly what we need to restore our faith in love, family, and humanity. 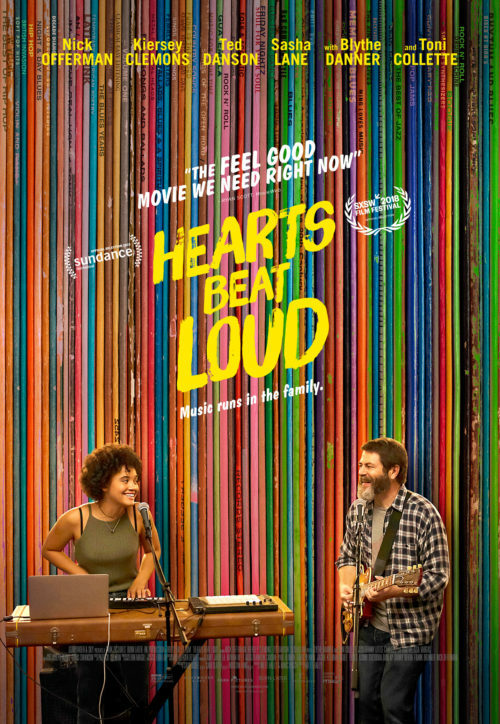 The film stars Kiersey Clemons (‘Dope’) and Nick Offerman (‘Parks and Recreation’) as father and daughter who seek to strengthen their bond through their shared love of music, albeit reluctantly at times. In the hip Brooklyn neighborhood of Red Hook, single dad and record store owner Frank (Nick Offerman) is preparing to send his hard-working daughter Sam (Kiersey Clemons) off to college, while being forced to close his vintage shop. Hoping to stay connected through their shared musical passions, Frank urges Sam to turn their weekly “jam sesh” into a father-daughter live act. After their first song becomes an Internet breakout, the two embark on a journey of love, growing up and musical discovery. Other notable names include Blythe Danner, Ted Danson and Toni Collette to round out the cast of characters in the film Rolling Stone is calling “a scrappy surprise that’s hard to shrug off”. 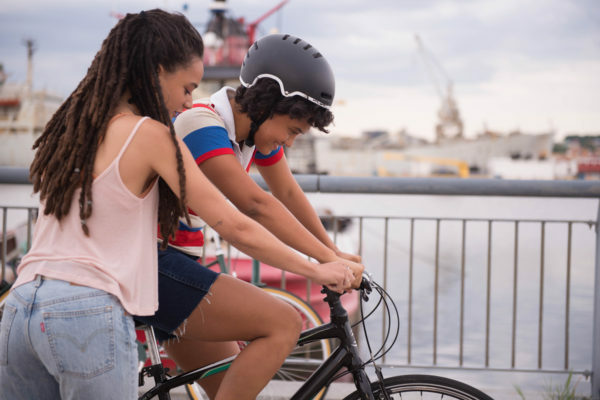 One of the greatest things about this movie, showing the importance of all the conversations about the need for diversity and representation on screen, is that the lead character is a queer woman of color whose relationship and sexuality is not the central theme, nor is it a point of contention or discomfort in any way. Premiering nationwide in the US on June 15, this makes, ‘Hearts Beat Loud’ one of the largest release Lesbian films in history, showing in over 300 theaters. Set to a queer-love inspired soundtrack of indie electro-pop tracks that Clemons actually performs in the film, this is a film that is quietly revolutionary for a mainstream Hollywood film. According to a study conducted by LGBTQ advocacy organization GLAAD in 2017, only 23 of the 125 films counted featured an LGBTQ character, accounting for less than 20 percent of films produced by the seven studios in the report. But it’s not just the lack of representation that becomes problematic when it comes to LGBTQ voices, characters on screen and in storylines. In 2016 GLAAD found that most LGBTQ movie characters are marginalized, invisible, or punchlines. While it’s important to show the struggle and reality of being part of a community that is still facing discrimination, especially under the Trump administration, there is something to be said about movies like ‘Hearts Beat Loud’ being the kind of inviting, compassionate, and powerful narratives that can help break down barriers in unique ways. One of the most poignant scenes in the film shows Sam and Frank discussing the creative process of writing and crafting a song. This is of course after Sam has decided putting a band together with her dad isn’t the worst thing int he world, after all. “It’s just a bunch of words,” Sam says nonchalantly about her primary role in Hearts Beat Loud, to which Frank replies, “This is a mood piece. It just has to have feeling.” That starts a beautiful process of putting together music which ends up going viral. The metaphor of words having great meaning is something we can all relate to and appreciate right now. So if you are looking for a couple of hours of escapism that will leave you feeling happy and hopeful, we recommend checking your local cinema for screening times. Take the kids, take your partner, make it a bonding night for friends, heck even invite that colleague you haven’t quite clicked with. You won’t be disappointed in ‘Hearts Beat Loud’. Watch the trailer below.